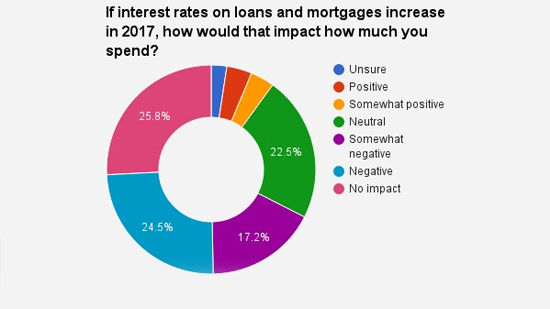 More than 40 per cent of Canadians say an increase in interest rates would have a negative or somewhat negative impact on their spending in 2017, according to a new Nanos Research survey conducted for CTV News. Meanwhile, more than a quarter of responders said interest rate increases would have no impact on their spending, and 23 per cent said it would have a neutral impact. 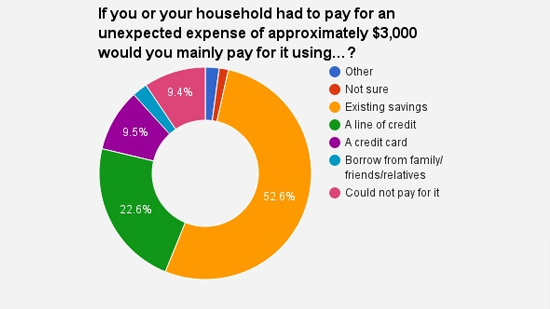 When asked how they would pay for an unexpected expense of approximately $3,000, 53 per cent of Canadians said they would use their existing savings. Twenty-three per cent said they would use a line of credit, 10 per cent would use a credit card, and two per cent would borrow money from relatives or friends. 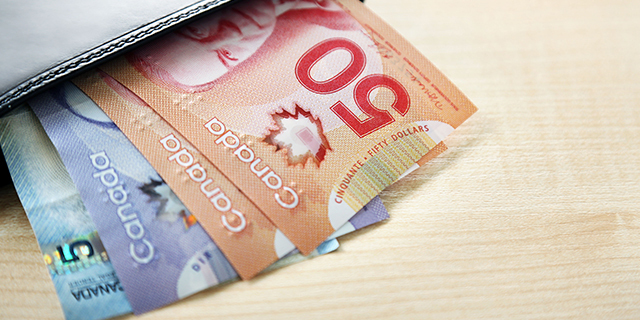 Nine per cent of survey responders said they would not be able to cover an unexpected expense of $3,000. 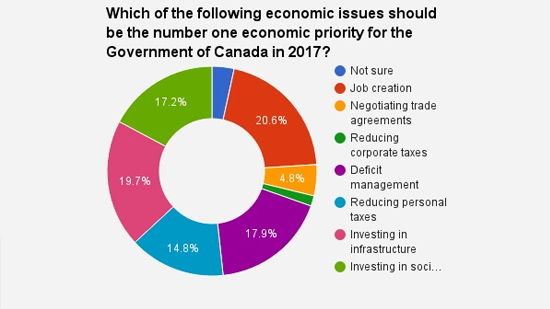 Looking beyond personal finances, 21 per cent of Canadians said that job creation should be the number one economic priority for the federal government in 2017.